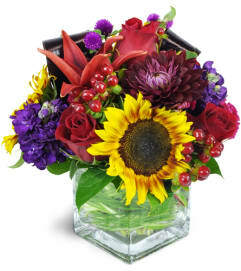 What a burst of color! 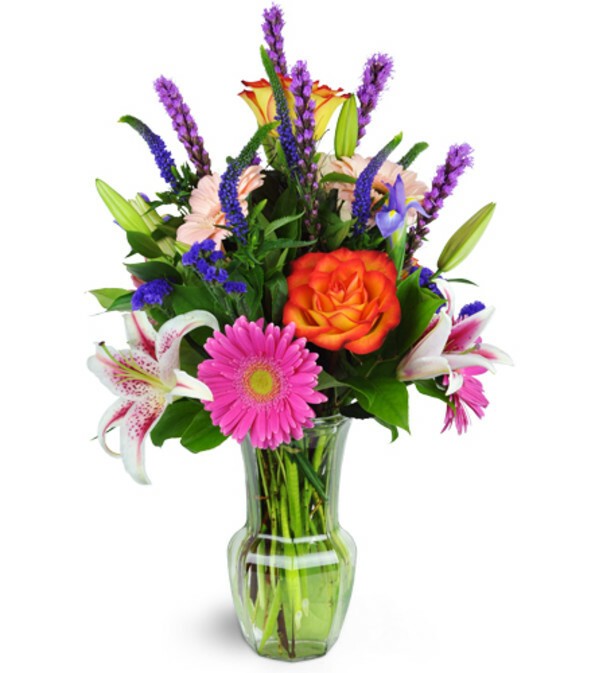 This arrangement is sure to make a splash for any special occasion! Birthdays, celebrations, and more are sure to receive extra excitement with this stunner. 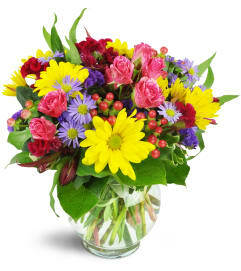 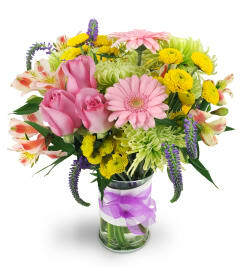 Gerbera daisies, roses, lilies, and more in a veritable rainbow of hues are arranged in a classic clear glass container.